Airline security: What if pilot’s psyche is the problem? After pilots get mental health screenings as they apply for jobs, further vetting is rare and up to generalists or the honor system. DALLAS — Reinforced doors with keypad entries. Body scanners and pat-downs. Elaborate crew maneuvers when a pilot has to use the restroom. All those tactics are designed to keep dangerous people out of the cockpit. But what if the pilot is the problem? 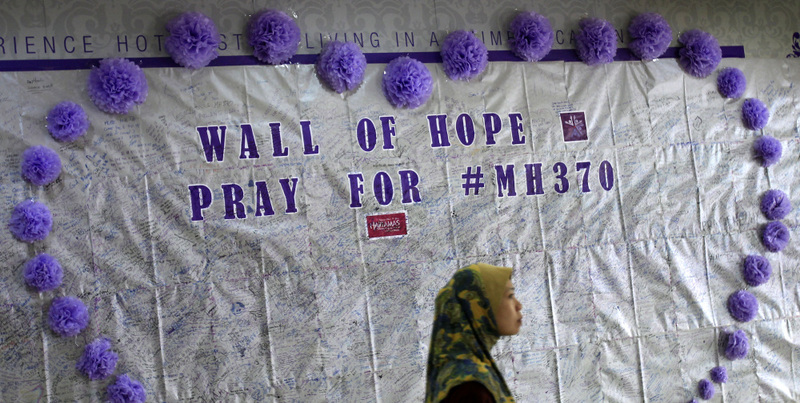 With no answers yet in the disappearance of Malaysia Airlines Flight 370, investigators have said they’re considering many options: hijacking, sabotage, terrorism or catastrophic equipment failure. Nobody knows if the pilots are heroes who tried to save a crippled airliner or if one collaborated with hijackers or was on a suicide mission. Whatever the outcome, the mystery has raised concerns about whether airlines and governments do enough to make sure that pilots are mentally fit to fly. Malaysia Airlines said this week that its pilots take psychological tests during the hiring process. “We will obviously look into all these and see whether we can strengthen, tighten all the various entry requirements and examinations,” CEO Ahmad Jauhari Yahya said. He did not describe the tests. Many U.S. airlines also perform mental health screenings when pilots and crew apply for jobs. “The airlines have a lot of data on what a successful pilot looks like, and the mental aspect is a big part of that,” says Brad Tate, a pilot for a leading U.S. airline. He said he’s known applicants who were rejected because of their performance on a standardized mental test. “I have never once flown with somebody who I questioned their mental health,” Tate says. Once a pilot is hired, however, U.S. airlines rarely if ever test a pilot again for mental health, say several experienced pilots. According to Federal Aviation Administration rules, U.S. pilots must pass a physical exam annually or every six months, depending on their age, but there is no specific requirement for a mental-health test. Buried in 333 pages of instructions, the FAA tells doctors that they should “form a general impression of the emotional stability and mental state” of the pilot. The FAA does require pilots to report any use of prescription drugs, substance abuse, arrests for drunken driving, “mental disorders of any sort” and if they have attempted suicide. Some conditions disqualify a person from being an airline pilot, including bipolar disease, a “severe” and repeated personality disorder, and psychosis. To a large degree, though, pilots are on the honor system. If they don’t tell their doctor or check a box on a government form that they’re depressed or suicidal, there is no certainty anyone will ever find out. About 400,000 U.S. pilots – from the airlines to private aviation and student pilots – apply for a medical certificate each year. From 2008 through 2012, only 1.2 percent were rejected, according to the FAA, which did not say how many failed due to mental-health issues. In 2010, the FAA lifted a 70-year-old ban on pilots taking antidepressants. Randy Babbitt, then the FAA administrator, said one reason for dropping the ban was a belief that pilots were secretly taking the drugs but just not telling anyone. Federal health officials estimate that nearly 10 percent of the adult population suffers from mood disorders, and aviation officials assume that the rate among pilots is about the same. The FAA declined to make an official available for an interview. Gregory Ostrom, a doctor in Elgin, Ill., estimates that he has seen 200 pilots a month for the past 13 years and calls them “great people.” The most common mental issue he sees is obsessive-compulsive behavior – pilots are perfectionists. But he admits that his examinations aren’t psychiatric in nature. “Nobody sits down and says, ‘Tell me about your home life,”’ he said. Ostrom said he relies on his experience observing patients to know whether to question a pilot’s emotional state. About once every three years he is concerned enough to refer somebody to the FAA for a decision on mental fitness, and those are almost always student pilots, he said. Even if there was a formal psychiatric review, Ostrom is not sure that it would make flying any safer. People can snap months after seeming normal during an exam. Doctors who issue medical clearances must be approved by the FAA. Most are generalists, not psychiatrists, and that troubles New York attorney Jonathan Reiter. He sued JetBlue Airways and reached a confidential settlement on behalf of 35 passengers after a pilot had a nervous breakdown in the middle of a cross-country flight in 2012. He said the pilot got his medical clearance from an osteopath in Florida. “The whole vetting process is paying lip service to the issue of mental illness,” Reiter said. There are about 72,000 airline pilots in the U.S. There have been no fatal accidents on a so-called mainline U.S. airline since 2001, and none on a regional carrier since a Colgan Air plane hired by Continental Airlines crashed in 2009 near Buffalo, N.Y., killing all 49 people on the plane and one on the ground. That crash was blamed on pilot error. The largest pilots’ union says the safety track record validates the screening system. • The JetBlue pilot who left the cockpit and ran through the cabin, ranting about Jesus and al-Qaida. Passengers tackled him, and the co-pilot made an emergency landing in Texas. The 49-year-old pilot had passed his medical exam three months earlier. • On a cargo flight in 1994, an off-duty FedEx pilot facing a disciplinary hearing attacked the cockpit crew with a hammer and a spear gun before being subdued. • A top aviation official in Mozambique said that a preliminary investigation into a November 2013 crash that killed 33 people pointed to a deliberate act by the pilot, who apparently locked the co-pilot out of the cockpit. The investigation is continuing. • In 1999, U.S. investigators determined that the co-pilot of an EgyptAir plane deliberately crashed into the Atlantic shortly after takeoff from New York’s John F. Kennedy International Airport. All 217 people on board died.